The Friday Grab Bag is a weekly series that highlights fun, unique, and interesting happenings in Colorado libraries, and includes news from the Colorado State Library. Let’s open the Friday Grab Bag! April is National Poetry Month. Some great events have already happened at libraries around the state, but there are more to come! Bud Werner Memorial Library presents Short Edition in Steamboat Springs — Colorado’s first short story dispenser. In celebration of National Poetry Month the dispenser will thrill you with poetry from April 1-30. During the poetry takeover of our Short Story Dispenser, the 1-Minute Button features short poetry, the 3-Minute Button features longer poems and the Children’s Button features classic children’s poetry. Image courtesy of Bud Werner Memorial Library. Join Pikes Peak Library District on April 13from 10:00am -12:00pm for a Poetry Workshop: Poetry of Memory & Childhood. Lead by Jodie Hollander, in this workshop, participants will learn how to translate their most powerful memories into a polished, musical poem. In addition to engaging in exercises designed to awaken vivid memories, this workshop will examine how to craft an ear-pleasing line of poetry. Click here to register. Image courtesy of Jodie Hollander. Join Garfield County Libraries for Open Mic Night: Celebrate Through Poetry. Share your favorite prose with others, listen to live performances, cheer on local writers, and celebrate literary expression and National Poetry Month at the library! 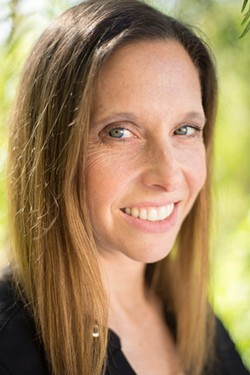 Alice Bedard-Voorhees will MC four events, which are free and open to all and run from 6:00-7:30 pm. Stop by Pine River Library on April 4 from 7:00-10:00 pm for some live music in the library. The Sounds True Trio will play jazz, soul, and R&B. Poudre River Public Library hosts Harmony in the Round on April 12 at 7:00 pm with the David Wiatrolik Jazz Trio, whose performances excite audiences of all ages with risk-taking group improvisation. The Trio performs an eclectic mix of original compositions along with tunes from the great American songbook and explore the genres of swing, country western and blues. The Boulder Public Library’s Concert Series has several upcoming events that you won’t want to miss. Admission is FREE, thanks to the generosity of the Boulder Library Foundation. No tickets or reservations necessary. Concerts take place in the Canyon Theater in the North Wing of the Main Branch of the Boulder Public Library. Arrive early for good seating! The Auraria Library and the Colorado Alliance of Research Libraries is bringing the ACRL Scholarly Communication Roadshow to the Front Range. This day-long workshop covers scholarly communication fundamentals including the publishing landscape, copyright, and library engagement. Registration is $25, but free for Student Helpers. Register Today! Ever thought about joining a book club, but hate to miss happy hour? Denver Public Library’s Get Lit Pop Up Book Club is the best of both worlds! They’ll be discussing the crime classic The Thin Man by Dashiell Hammett. while sipping on cocktails on April 25 from 6:30-8:00pm at The Denver Distillery. Get a library card, check out and return books, place holds, and sign up for Library programs at theThe Trinidad Carnegie Library’s Pop-Up Library! Just Look for this banner these upcoming community events. Image Courtesy of Trinidad Library. Incidents of fraud are on the rise, and scammers’ tactics are becoming more complex. That’s why it’s important to educate yourself. Join Clear Creek County Library District on April 18 at 12:00 pm for Outsmart the Scammers a financial workshop where you will learn important strategies to help protect you and the ones you love. 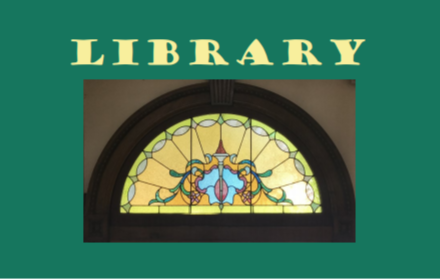 Mesa County Libraries hosts two upcoming events of special historic significance to the Grand Valley. 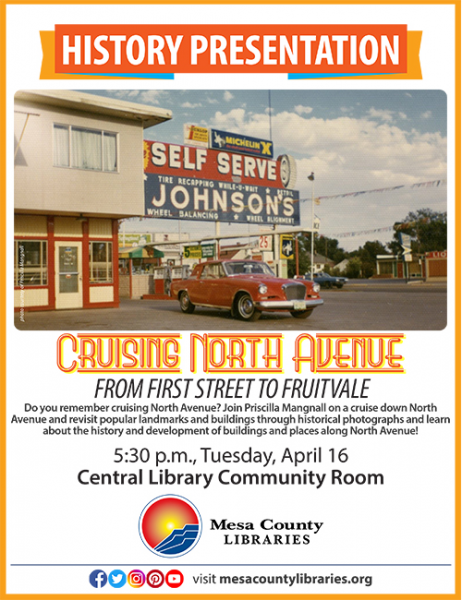 On April 16 at 5:30, join Priscilla Mangnall, President of the Mesa County Historical Society, presents Cruising North Avenue. Revisit popular landmarks and buildings through historical photographs and learn about the history and development of buildings and places along North Avenue! Image courtesy of Mesa County Libraries. Want to go back further in time? Historian Dave Fishell presents Beaver Pelts & Slaves: The Story of Fort Uncompahgre & the Old Spanish Trail on April 17 at 6:30. Find out how the northern branch of the Old Spanish Trail crossed the Grand and Colorado rivers at central Orchard Mesa and tracked through what is today’s downtown Grand Junction. Vail Public Library presents Evenings of Engagement with Dave Lively – “WHO WAS THE SCULPTOR IN BUCKSKIN?” on April 24th from 5:30-6:30 pm. Let Dave introduce you to Alexander Phimister Proctor – a man who spent much of his youth hunting and sketching in the Colorado mountain wilderness of the 1870s, but was so much more than a sculptor and artist. Ready to go back even further? The geologic history of Boulder County’s remarkable landscape goes back nearly two billion years! Adults are invited to Louisville Public Library for Story in the Rocks–the Geologic History of Boulder County on April 17 from 7:00-8:30 pm. Join volunteer naturalists for this slide program and learn how to read the fascinating story in the rocks. The Common Threads clothing drive at Aurora Public Library was covered by the Sentinel Colorado – 25 people walked away with new duds, some of them expertly tailored in the library’s sewing lab. Check out CBS4’s coverage of the opening of Skinner Middle School Library’s Creation Stations. Stations included board games, Legos and sewing stations, all made possible through donations from the community. Museums of Western Colorado celebrate spring with ‘A Day in the Orchard’. KJCT/KKCO covered the event where team members planted six new trees, and local groups performed and offered educational programming. The Colorado College Tutt Library Expansion and Transformation is featured in the New Atlas’s peice Award-winning libraries rewrite the book on good design. The Steamboat Pilot’s piece Community Agriculture Alliance: Kick off the season of cultivation explores the origins of the Community Agriculture Alliance, a collaboration between the Bud Werner Memorial Library, Colorado State University Extension Office and Colorado Master Gardeners. Last but not least (the most, really), check out this reporting from 9 News. 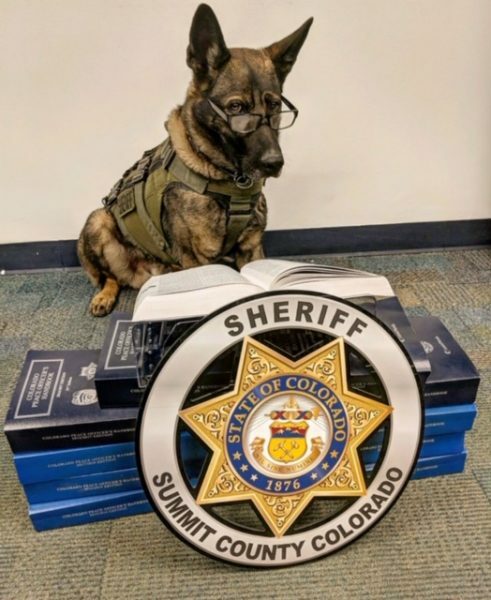 In honor of National Library Week K9 Danny with the Summit County Sheriff’s office, in collaboration with Summit County Library, takes a quick break to study his favorite topic, Colorado Revised Statutes. K9 Danny, known good boy. Image courtesy of Summit County Library. OBCO announced its winner with much fanfare on April 8 at the Denver Public Library with special guests Governor Jared Polis and Denver Mayor Michael Hancock! From April 8-22 a copy of Penguinaut by Marcie Colleen and illustrated by Emma Yarlett will be given to all Colorado 4-year-olds. The Colorado ILL Conference is April 25 & 26 at the Westin Hotel in Westminster, CO with a free Prospector, SWIFT, and Courier preconference on April 24. Learn more and register. In this Bag of Tricks post, Kieran highlights a resource that is only partly online – CSL’s Let’s Talk About it! kits. We’re over the moon to be circulating two new kits: Sun-Earth-Moon Connections and Be a NASA Detective. Christine Schein rounds up the latest news in digital literacy and educational technology. Are you thinking of making a change this year in your job? Check out Library Jobline for hot new library employment opportunities. This post is part of the Spotlight on Sharing initiative, which aims to increase the visibility of resource sharing in Colorado libraries. Do you have a story from your library to share? Email Marisa Wood, mwood@coloradovirtuallibrary.org. Also, be sure to follow Colorado State Library on Twitter and Facebook.